Have you checked your blindspots lately? Over the last weekend I was in Singapore with an amazing bunch of people “crewing” at a Tony Robbins event called Unleash the Power Within. It was a four day marathon and very life-changing for most of the people in the room. In this particular room there were over 12,000 participants from 32 countries and I was part of the 450 crew. The whole thing was pretty mind blowing and watching this machine work is truly awe-inspiring. I have been asked on numerous occasions why I go and crew, particularly because it is voluntary and normally at my own expense, but for me it is a no-brainer. I am always forced to grow. Yes, forced! Which is absolutely what I want. I know that the crew director can see far greater potential in me and very lovingly gives me roles that are outside of my comfort zone. If I was left to choose what I wanted to do I would most probably pick a role where I already have certainty and some level of confidence with it. I want to do an outstanding job so a safe option is very attractive, however the safe option also has limited opportunity for growth. I have learnt that I need to entrust myself to people who will push me much further than I would push myself. I am externally motivated. That means that I am more likely to perform better for a force outside of myself than just doing it for myself – so I have harnessed this. One of the greatest gifts that comes from the crewing experience is the opportunity to identify and learn about my “blind spots”. This is growth on steroids! 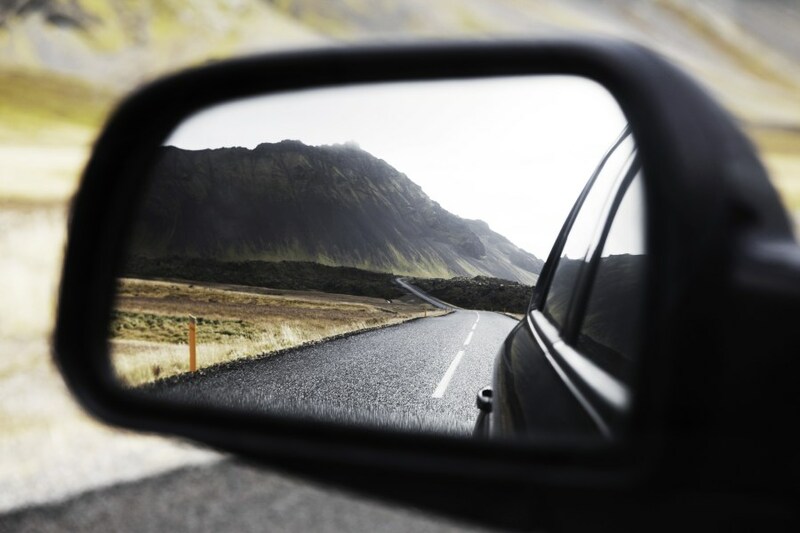 According to the dictionary a “blind spot” is an area where a person’s view is obstructed. Blind spots can be very dangerous in life. On a road it is often the place where there are religious crosses marking the spot where people have died in a crash. In life it is an area that we cannot see clearly and we therefore behave with limited knowledge – sometimes to the detriment of ourselves or others. The challenging thing is: we don’t even know that we can’t see what we can’t see! It’s like the boss who believes that they are direct and thorough in giving instructions to their team, yet the team’s experience of them is that they are rude, abrupt and unclear with their instructions. This is a blind spot for the boss. It is the partner who continually corrects their other half’s language, yet uses words out of context and poor grammar themselves. This too, is a blind spot. On the weekend, I was blessed to have two gorgeous men coach me in my role at the event in Singapore, and I was given the opportunity to identify a blind spot of my own. I would never have seen these things if I hadn’t been asked some great questions by my coaches, or if I hadn’t continuously asked them for feedback. Part of my role was to move crew into positions when we needed them in certain areas. It was about giving clear instructions and delivering them with a whole lot of certainty to the team. Considering there were so many participants at this event, communication was often already compromised due to the noise and amount of people in any one area. I would receive an instruction about what needed to happen next and then I was off like a bull in a china shop! I was herding people and throwing out instructions before I had a clear plan and definitely not being certain in my verbal and non-verbal language! Shaun, one of my coaches (an amazing hospitality coach who has 20+ years of experience in international hotels) stopped me on Day Three and said “Stop tap dancing Kato – you are jumping up and down with all this nervous energy; get yourself centred. Now tell me how you are going to execute this next instruction effectively?”. “Umm, I am going to tell those people they need to go there, then I am going to go inside the venue and grab some others…I am not really sure” I replied. “So stop!! Stop right now, ground yourself, have a minute to think this through and then tell me what you are going to do”. So I stopped hopping around like a Mexican jumping bean and thought about it. How am I going to complete this task effectively and efficiently? It felt good to not let the pressure of the situation dictate my actions. It also felt good to slow right down and think about it. Because I was doing a role that included aspects that I rarely use in my normal life, I was buying into the pressure. And because I was buying into the pressure I wanted to move quickly: I was reacting to my environment instead of responding to it. Ahh, there is the blind spot!! I had a blind spot around how I behave in high pressure situations with limited time. I become reactive (and therefore less effective) instead of being responsive and more influential. It really was one of those “Ah ha!” moments where everything became really clear and I could identify how ineffectual I had been at several other times during the event. This example seems so small but it really isn’t! I want to be the best leader I can be, therefore I need to constantly test myself in new environments to ensure that my leadership style is evolving. Fast forward into the future: if I had not realised how reactive I am when my stress levels are high and time is short, how could that have played out with other teams? How could that have held me back from realising my full potential as a leader? Find someone who is further down the same path that you are on and ask them to observe you. Ask them to highlight any areas which you may have missed. Ask them to give honest and constructive feedback with the intention of highlighting your blind spots. If this frightens you – good!! It should! Growth is not about being comfortable. Growth is about expansion and your full potential being realised. Get curious about your blind spots – they are the area of the most profound learning. I try to think how I could fail better and hopefully learn each time so that I could fail at bigger and scarier things. Let’s fail better together. I like the framing of that, though one variable of is the individuals relationship to failure. Many people have negative conditioning around failure therefore would they successfully harvest the learning from that situation?